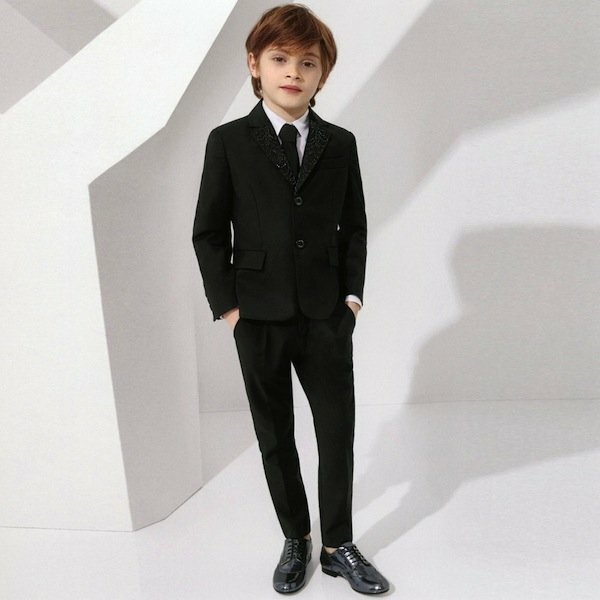 He'll look picture perfect wearing this smart tailored two piece suit by Young Versace for Boys. Immaculately styled in pure new wool, the jacket has lapels embellished with black beading, logo buttons, two pockets and a handkerchief pocket on the chest and it is lined in a branded satin fabric. The matching trousers have a button and zip fly, belt loops and an adjustable waist. 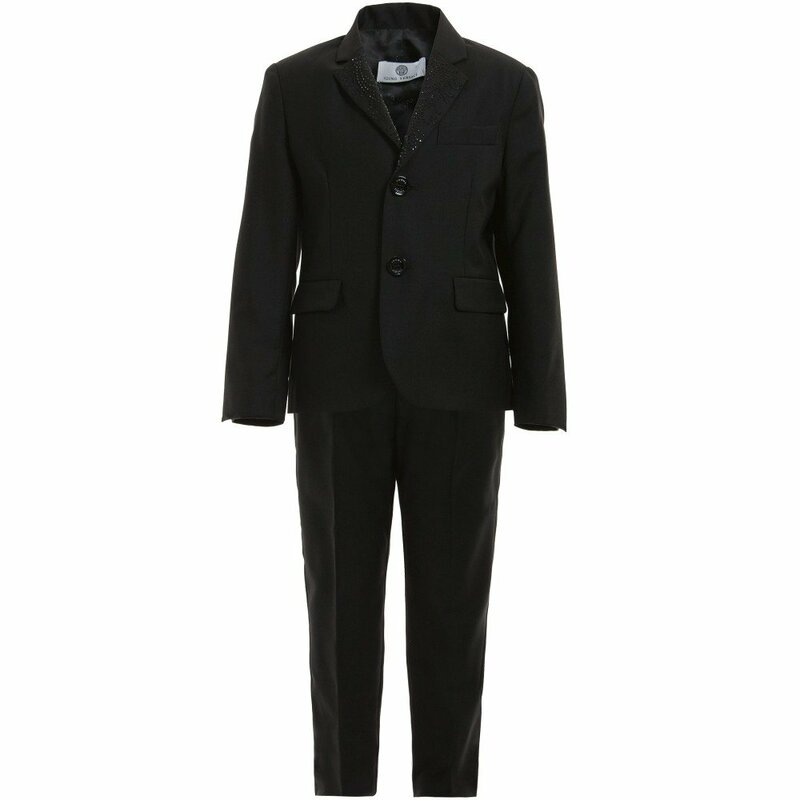 The trousers taper down at the ankle and both items can be worn independently to create different outfits. 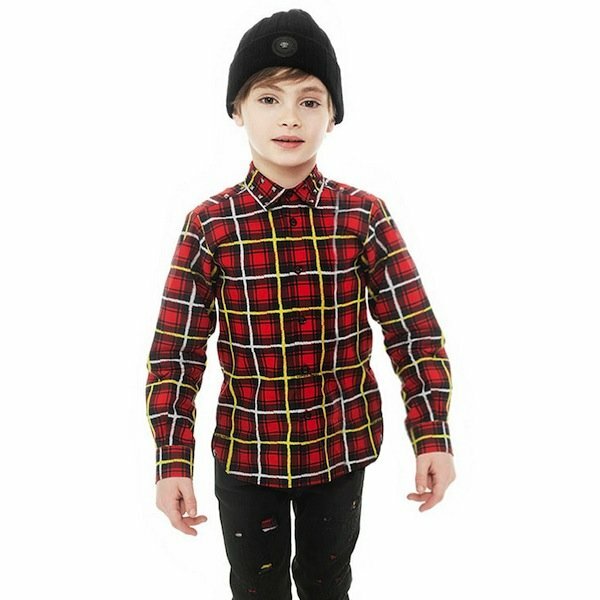 Adorable Mini Me Look for Boys inspired by Versace Menswear Collection from Milan Fashion Week. Shop Online, Ships Worldwide.